Even in a Hollywood crazy for remaking and re-adapting every last property on the books—Car 54, Where Are You? got made into a movie, as did The Gong Show—a comedy based on a largely forgotten 20-year-old Johnny Depp series from the still-infant Fox TV network didn’t sound terribly promising. But powered by good word-of-worth and reviews of the flabbergasted, this-is-so-much-better-than-it-has-any-right-to-be variety led the gleefully post-modern, Jonah Hill-Channing Tatum team-up 21 Jump Street to a dominant $35 million haul on opening weekend. (That the number exceeded John Carter’s from the week before, despite being made on less than a sixth of the budget, adds salt to an already gaping wound.) 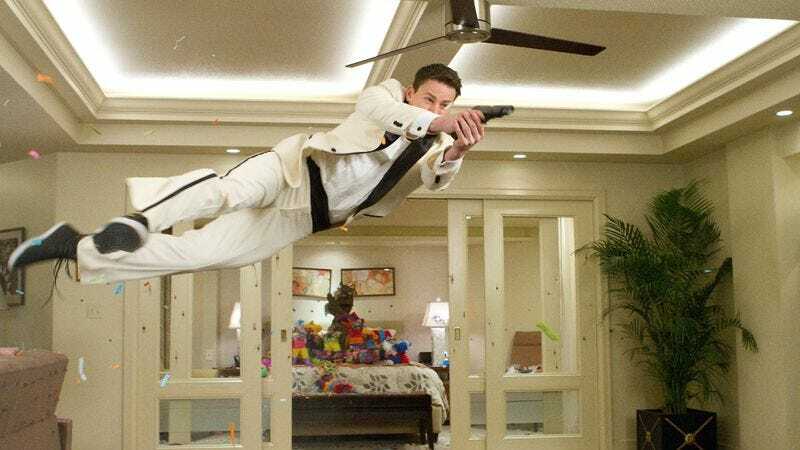 Of course, it helps that 21 Jump Street was given the widest possible berth, with only the second largest opener, the Will Ferrell curiosity Casa De Mi Padre, getting just 382 screens to its 3,121. Considering those limitations, Casa didn’t do too badly, earning $2.2 million on $5,759 per screen, enough to squeak into the Top 10 at #9. In limited release, two other neither-wide-nor-limited openers floundered badly, despite the presence of big movie stars. Even with Paramount’s backing, Jason Segel in the lead, and a smattering of kind reviews, the Duplass brothers’ first studio effort, Jeff, Who Lives At Home, failed to popularize their mumblecore aesthetic—at $3,300 on 254 screens, it didn’t even pass the $1 million mark. The shoulda-been straight-to-DVD Nicolas Cage thriller Seeking Justice did significantly worse, with an anemic $1,125 on 231 screens for an actor who was once (and may be again) one of the most bankable stars in Hollywood. The big winner in arthouse circles by far was the Dardenne brothers’ The Kid With A Bike, which received the coveted A.V. Club bump on its way to $17,000 per screen on three screens, the highest average of any movie this week; presuming it would have performed just as well at the Rave Motion Pictures Patton Creek 15 + IMAX in Hoover, Alabama as it did at the IFC Center in New York City, it would have crushed the likes of 21 Jump Street. Perhaps the now-inevitable Americanization will take advantage.